Details, a week in advance. Sort of. Okay. Working on preliminary details and super prize packages (we are up to SIXTEEN of them) Abby the Librarian, who has kindly offered to help. They will all be available before the Starting Line next Friday, June 7. Maybe, oh, Thursday. For now, you need to start laying the groundwork. Use this week to get caught up on household chores. Have meals in the fridge. Have snacks at the ready. Check out videos for less cooperative Members of Household or arrange for a kindly uncle to take them to the zoo for two days. Get those books lined up. Make sure your back up power sources work for the computer. Update your software. If you have time or technology, think about posting a picture of your TBR on your Starting Line Post. Remember that for every five hours you spend reading, you can count one hour of social networking/computer time toward your total. 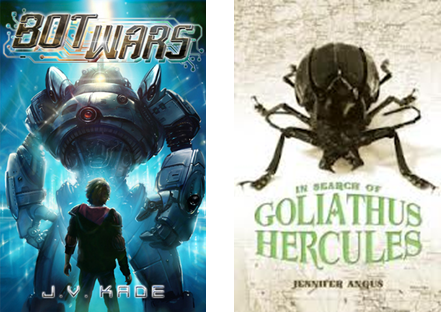 From Albert Whitman Publishing, we have Jennifer Angus' In Search of Goliath Hercules. 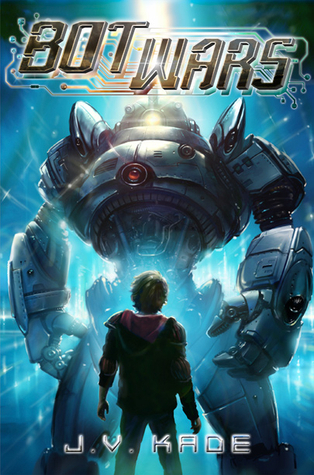 From author Jennifer Rush, we have a signed copy of Bot Wars. From author Sarah Jamila Stevenson, a copy of Underneath, which comes out 8 June! A Mini cookbook library, including Breakfast for Dinner, Pure Vanilla, Cooking With Flowers, and The Cookiepedia. Wonderfulness yet to be determined Egmont USA. Lenny has like Zoey for as long as he can remember, but she doesn't really acknowledge his existence. With his friend Harlan, Lenny finds a way to reduce himself in size enough to be introduced into Zoey's body so he can make his way into her brain and convince her to like him. Far fetched? Not for a seventh grader. Lenny's parents are both scientists, and he manages to get himself reduced and has Harlan put him into an empty cold capsule and drop him in Zoey's pop. Once in her body, he battles a lot of talking cells and gets help from some of them. At the same time, Zoey is trying to put on a school play, feeling ill effects of Lenny infiltrating her system, and Harlan finds himself in contact with Zoey a little more than is comfortable for him, considering how much his best friend likes her. 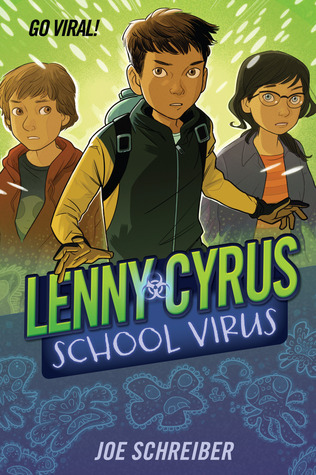 When Lenny realizes that Zoey has a nasty viral infection, he helps to save her, and Zoey lets both boys know that she's too young to date but would like to be friends with them both. Weaknesses: Some of the body descriptions were a bit confusing, and I had to suspend disbelief that Lenny could reduce himself and get into Zoey's system. 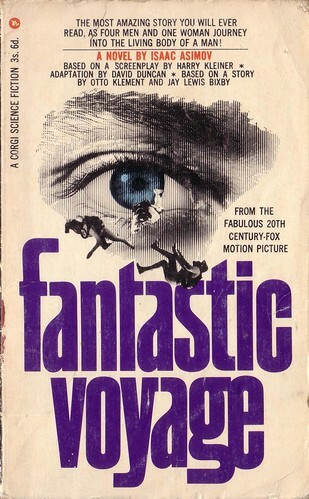 Of course, the main reason to purchase this is so that I can then get students to check out the copy of Isaac Asimov's Fantastic Voyage that I still have! I have a friend who still talks about the 1966 movie with Raquel Welch! When Sherlock's brother Mycroft is found coming out of a locked room at the Diogenes Club, wherein lies a dead man, he is arrested and imprisoned. 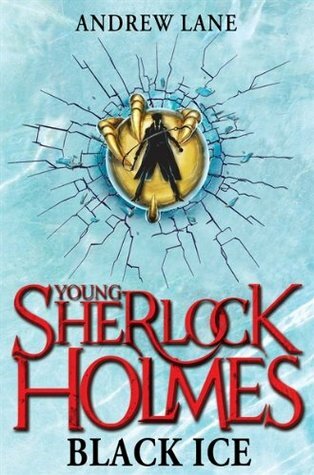 Sherlock and his tutor, Amyus Crowe, can figure out that Mycroft has been drugged and the man has killed himself in a clever way, but the police refuse to believe them. Mycroft thinks that the man is somehow involved in a vast land purchase in the US, and once his club pays bail, he takes off to Russia to try to figure things out. He and Mycroft are touring with some musicians, but of course get drawn into further dangers and mysteries. Characters from the past reappear, and Sherlock learns a lot about interpreting events and appearances. Strengths: Really liked Death Cloud as well as Rebel Fire, and am glad to see the British cover win out, since the ones with the Justin Bieber lookalikes were sort of laughable. These would be great summer reads for middle school students, interspersed with some actual Conan Doyle. Weaknesses: Once Mycroft was released from prison, this lost its immediacy for me. I also found Crowe's dialect to be annoyin'. The man drops every single "g". Hmmm. McKay, Sharon. 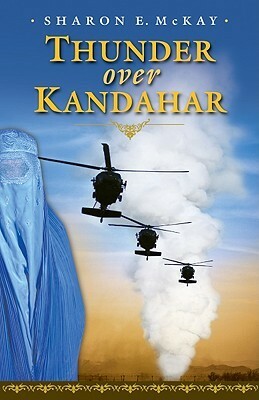 Thunder Over Kandahar. Yasmine's parents have moved the family from the UK back to their homeland of Afghanistan, but things are not going well. Her father is frequently getting in trouble with his university, and her mother can't work. After the two are attacked by the Taliban and the mother is badly beaten, Yasmine is even more determined to leave. She is lonely, and when she meets Tamanna, who is about to be sold into marriage by a drug addicted uncle, she is happy. When both of Yasmine's parents are attacked and badly injured, they are to be airlifted out of the country, but Yasmine goes back. She and Tamanna end up being abandoned by the man who is supposed to take them to safety, and their long journey to the border of Pakistan begins. Since girls are not supposed to be out alone, even when covered by a burka, their journey is treacherous and ends with Yasmine being gravely injured and separated from Tamanna. Since she has lost her memory after a suicide bomber attack, she spends a great deal of time in Pakistan before her family finds her. Strengths: Great detail about like in Afghanistan, as well as explanations as to why some people return and try to change things even though they are in great peril. Some excellent twists, and a fantastic friendship between two very different girls. Very much enjoyed this. Weaknesses: The violence might be a bit much for younger students, but explains a lot for older ones. Holyoke, Polly. The Neptune Project. Nere and her mother live along the coast, and her mother studies marine life in the area. Food is scarce, and the government has cracked down on just about every aspect of people's lives. Shortly after Nere and a friend go out at night to save a smuggler, the government decides that her village is not contributing enough food, and the people are sent inland. Nere's mother is prepared for this, and Nere finds out that she and several of the other children of the fishermen were genetically altered and can survive underwater. Nere's father anticipated government problems and after faking his death a couple of years previously, has set up at another settlement. Nere and her friends take off to find him, hoping to evade the government, who would not be happy to discover that Nere is an empath who can talk to dolphins. 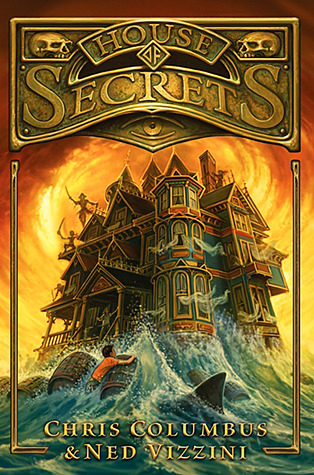 With lots of adventure, a little romance, and a lot of details about the sea, I wouldn't be at all surprised if there is a sequel. Strengths: Holyoke does a very good job at dropping us right into a hunger plagued dystopia with genetically altered children and explaining afterwards. This is very hard to do, but the details of life are presented in a way that made sense. For example, I knew right away that something was up with Nere's breathing difficulties, but was still surprised to find out the extent of her differences. There are a lot of children who are interested in marine biology, and I could see this being popular with The Hunger Games fans. 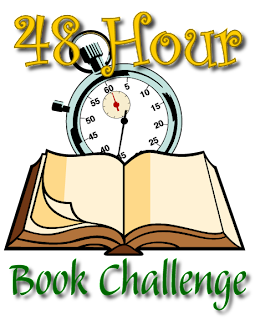 My plan is to have preliminary instructions for all MotherReader 48 Hour Book Challenge procedures up on this Friday, a week in advance. This gives me an opportunity to correct obvious mistakes, of which there will no doubt be many. Prizes. Sigh. You will notice that I do very few giveaways, just because like many facets of modern life (like Riffle, Pinterest, and Instagram), they tend to kerflummox me. So here are thoughts. I want people to get books who want the books. I would like the people to get said books, which have been kindly donated by publicists and publishers, to at least review or mention them on their blogs, in way of recompense. Prize awarding should be easy for both recipients and for me. And, obviously, people need to work a bit and put in the reading in order to be eligible. Only fair. Once I have all the packages assembled, I will assign categories in which one can win, just as MotherReader did. The person who reads the most gets first choice, etc. There will definitely be winners in the "numbers of hours read" categories, but I think I will throw in a "most middle grade or longer books read" category, because that is where I would be winning! MotherReader does an awesome job at going to all the participating blogs and figuring out who has the most hours/books; I'm thinking I'll be lucky to assemble a spread sheet of people reporting through comments and not goof it up. This is where I don't think Rafflecopter will work. Sigh. I am hoping that people are doing the Book Challenge for the awesome party atmosphere more than anything else, and that you will all be understanding of the fact that I am trying to do my best! Whew. Now, I really should be off to investigate Armchair BEA, which always looks like such fun, but which frightens me away by using terms like "agenda" and "Instagram Challenge". Sigh. 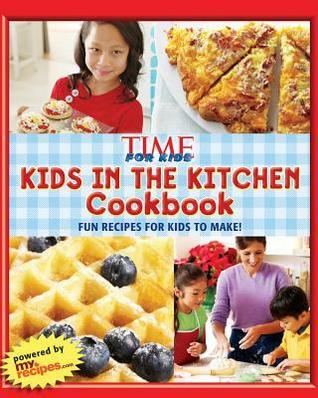 Copy provided by Time, Inc. I have such a weakness for cookbooks, and this one was one of my favorites. It not only had decent recipes with lots of information for children on how to do things and what equipment to use, but it also had tons of fun facts on the side of the pages. This is graphically pleasing, includes nutrional information (which I'm still not used to!) and has facts from around the world. This would make a great gift for a budding cook; it reminds me a little of the old Betty Crocker NEW Boys' and Girls' Cookbook. My only objection is that it is spiral bound, which holds up poorly, but which is much handier for cooking at home. 23 April 2013, Balzer and Bray. The Walker family has fallen on hard times since their father, a surgeon, blacked out and carved a symbol into a patient's skin. Dr. Walker hopes he can be rehired so that the family can afford a new place to live. They happen upon a most fortuitous place-- Kristoff House, a fully furnished, enormous mansion available at a discount price, but only to the right people. The Walkers, including teenagers Cordelia and Brendan and eight-year-old dyslexic Eleanor (Nell), are apparently the right family. The house had been owned by writer Denver Kristoff, and his daughter lives next door. Before they can figure out much about the mysterious circumstances of the daughter, Dahlia (who would be over 100 and sometimes appears in the guise of the Wind Witch), the house is swept away into an alternate world where the characters of Kristoff's books have come to life. Luckily, one of these characters, British World War I pilot Will, is very helpful and assists the children in their survival, since their parents have disappeared. The Wind Witch pursues them in order to obtain The Book of Doom and Desire that her father made sure she could never touch, and the house is buffeted by all manner of attacks by pirates and savages. It takes Nell's ingenuity to solve the situation in a rather grandiose manner which paves the way for the next adventure. Strengths: Lots of action and adventure, very well-developed and likable characters, convincing fantasy mechanisms. Mr. Vizzini makes a nice transition to middle grades by dumping the bad language he favors and adding more action, and Mr. Columbus' influence is clear in the vivid, cinematic style of the scenes. This will be a huge hit with fifth graders who "read above grade level", since it is 496 pages long AND blurbed by none other than J.K. Rowling. Bonus points for using the name Eleanor and the nickname Nell, just like my own Picky Reader! Weaknesses: Shall we make a list of the middle grade fantasy novels that are about children getting hurled into fantasy realms without their parents and put in a position where only they can save the world from certain destruction? There are any number, so this is no longer a fresh idea.The ending was also filled with several improbable dei ex machinis. I'm glad that Eleanor could save the day by working hard to overcome her dyslexia, but it was all a bit too neat. There were problems with the Latin. When will authors learn they should ask, and I'll consult my sources so they don't put gobbledygook in their books? I may be the only former Latin teacher who is also a middle grade librarian, so improper Latin in novels bothers me. There are Latin professors who will no doubt translate for a low, low price. Not having done this before, I'm not entirely sure how to award packages. I do know that prizes have never really motivated me, and I do want books to go where they are wanted and used. My thinking currently is that I may give winners a choice of packages, so people get the books they really want! Wonderfulness yet to be determined is being donated by Random House, Big Honcho Media and Egmont USA. Quirk Books is donating a set of Tales from Lovecraft Middle School and also a set of baking books! Sise, Katie. 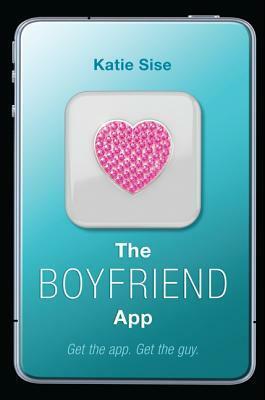 The Boyfriend App. Since her father's death in her former best friend father's factory, Audrey has retreated from her popular existence and takes solace in coding and hanging with a geeky crowd. She and her mother are struggling to make ends meet; her mother is the lunch lady in her school, a fact which her former best friend Blake never lets her forget. When Public Corporation announces a contest for an app, Audrey sees it as a way to be able to afford college. She starts with an app that uses a questionnaire to help people find their match when that person's cell phone is near theirs. It has some success, but when the matches don't always work, the app sinks in popularity. When Audrey uncovers the secret behind Public Corporation's success, she creates an app that uses the same principal to get someone to fall in love with the person who activates a sound frequency using The Boyfriend App 2.0. Things get crazy, Audrey gets in a fair amount of trouble, but some things about her past get resolved as well. Strengths: I liked that Audrey was a girl geek and interested in computers-- there need to be more books about girls like that! I couldn't stop reading this one, even when it got technical. I'd definitely buy for a high school library. Weaknesses: Gets a bit over the top, and the computer details slow the story down. While I enjoyed it, it doesn't feel like a good fit for my readers. Tomorrow is the first day of summer vacation, and for a change, I will NOT be going to school any more than absolutely necessary (except to put in a purchase order so we have new books on the first day). I'll be reading my Book a Day , but I won't be quilting obsessively or reading five books a day. The three teenagers will be doing most of the housework, ala The Country Bunny and the Little Gold Shoes. They have been doing pretty well, although dishes seem to be much harder to keep on top of than you would think, and Picky Reader doesn't want to touch anyone else's underwear. I have posts scheduled through the summer, and certainly I'll be devoting a lot of time to reading and blog visiting for the MotherReader 48 Hour Book Challenge. But then, I'm doing some other things. I'll be taking a vacation to Put-in-Bay where there is nothing historical to see. I'll just be sleeping in, biking, and lolling in a chair looking at the surf. I'll be running, but not doing actual races because they just make me nervous.I'll be coaching cross country again, which I enjoy, so I need to be able to attempt to keep up with the students. I never really can, but I think they appreciate that I try. I used to wear Keds Champion Oxfords. For years, starting with a red pair for kindergarten, including a pair that I wore all over Greece when I was 20. I did buy a pair of Reebok running shoes in 1981(top picture), and prefer white running shoes now, which I've worn for the last twenty years. When the more vibrant colored shoes started showing up, I was annoyed, in the same way I am annoyed with jeans that don't come up to my waist or turtlenecks that are "fitted". I like to wear the same things I have always worn because there is a level of comfort in them. I decided that I could, at the very least, embrace the newest styles in shoes. My children think they are great, as in Voldemort"did great things – terrible, yes, but great." I'm not sure I like them, but I like what they represent. Not being completely hide-bound. Trying new things. So if I don't seem to be around as much this summer, I'm just taking a little break. I'll be back, renewed and ready to read obsessively, in mid-August. Meanwhile, I'll still have at least a book a day reviewed here. Lauren has had a crush on Charlie Anderson for several years and has a plan to get him to like her THIS summer at the family beach house. When she finds out her mother has invited Chrissy to join them, she thinks her plans are ruined. Chrissy turns out to be cool, and has a BF in California, Justin. Lauren and Chrissy end up talking to Charlie and his friends, especially Frank. Lauren thinks Chrissy and Frank would be perfect together and tries to fix them up. Things don't go well with Charlie, the girls fight a bit, and there's massive confusion at the end about who "like likes" whom, but it all works out, and the characters get to spend some quality time on the beach at sunset savoring the moment. Coming out from now until December: Maddie's Camp Crush, Lindsay''s Surprise Crush, Noelle's Christmas Crush,Rachel's Valentine Crush. From Picky Reader (who will soon be a jaded high school sophomore), after she gave a dramatic reading of the last chapter on the way home from clarinet: "It sounded like it would make a fantastic Taylor Swift song." Strengths: The girls will ADORE these. 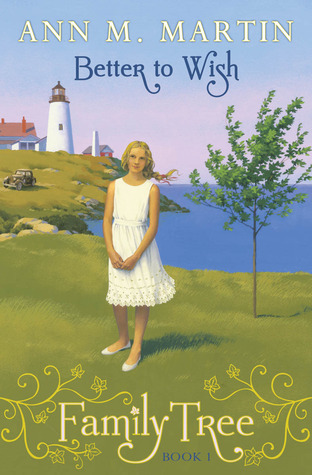 Lauren is going into seventh grade, and is all about finding True Love Forever and gaining a BFF. She has embarrassing plans, takes magazine quizzes.. true middle grade romance. Weaknesses: Does anyone on the East coast like, totally overuse "like" and "totally"? Do girls doodle "Lauren and Charlie" and "Lauren Anderson" on their notebooks? 'Cause I totally have to slap them if they do. This was painful to read, but I remember having elaborate plans to "get a boy to like me". Just feel like maybe I shouldn't be encouraging this kind of thinking. These have an odd, 1980s feel to them. Nate has always loved musical theater, even though it has gotten him in trouble with his own jockish brother as well as bullies at school who like to fling terms like "fag" and "homo" at him, even though Nate declares that he's too young to declare his sexual preferences in any direction at all. When his best friend Lily finds out that open auditions are being held for the part of Elliot in a Broadway production of E.T., Nate knows that he has to give it a try. With Lily's help, he figures out how to get from his home outside Pittsburgh to New York, and makes it to the auditions after a series of mishaps. He is met by his aunt Heidi, whom his mother doesn't like, after Lily rats him out to her, but Heidi (a failed actress herself) is very helpful. Nate goes through the auditions with some success, only to find that he needs to stay in New York, which is going to run him into problems at home. Nate decides that he really likes New York and theater culture, and sees some hope for his future there. Will he make the final cut before his parents find him out? Strengths: This offers a lot of practical information about what it is like to try out for a Broadway production. Nate's running away is well thought out and realistic; dangers are not necessarily present, but not glossed over. The treatment of Nate's sexuality is perfect for a middle grade novel-- he is interested to see two boys kiss and not be bullied in New York and finds a male friend of his aunt's somewhat attractive, but he doesn't over think it because he doesn't want to really consider kissing anyone at this point in his life. Patterson, James and Papademetriou, Lisa. Middle School #3: My Brother is a Big, Fat Liar. Told from the point of view of Georgia, Rafe Khatchadorian's younger sister. Georgia is starting middle school at the same school where her brother was notorious enough to get kicked out, so all of her teachers immediately suspect that she will be just as bad. Right away, the "princesses" of the school make fun of Georgia, but she still rather wants to be with them. Instead, she is befriended by Rhonda, who is very supportive, but Georgia thinks she is loud and weird. Georgia is in a band (even though she doesn't really know how to play guitar), and when Rafe signs the band up to play for the school, Georgia starts to panic. Even though Georgia claims she is nothing like Rafe, she manages to get into trouble all on her own. Strengths: Undeniable appeal for students who like notebook novels or this series. Nice to see a change in point of view. I normally really like Papademetriou's writing. Weaknesses: Found this disappointing, mainly because it was so mean. Georgia doesn't treat Rhonda any better than the "princesses" treat her. Also, if teachers have a really bad student, and a sibling comes along, we are hugely relieved if the sibling if well-behaved, and don't immediately assume the child will be bad. Papademetriou usually has a better feel for middle school, so I'm assuming Patterson had a lot of input into the outline and character development of this. 1 August 2010, Scholastic Press. Living on the east coast, Finn and Chloe are afraid that their high school academics are not good enough for them to get into elite colleges. After seeing a news item about a girl who was abducted and held for months by kidnappers and then got into the college of their choice, they come up with an elaborate plan-- Chloe will disappear for a while, Finn will help "find" her, and they will both not only get accepted into whatever college they want, but will get scholarship money. Their plan goes well, and Chloe is hiding in Finn's grandmother's house. Chloe's family and friends are understandably upset, especially when she is gone long enough for the local lake to be dragged. When her boyfriend, Dean, becomes a "person of interest" and is later arrested, Finn starts to question their plan and wants to back out, but Chloe wants to stick with it. In the end, their plan costs them more than they get out of it. Strengths: This is a well-paced, unique thriller with a fantastic cover. I think that this will go over very well with my middle school students who always want murder mysteries. Weaknesses: I've never understood the whole "elite college" thing, and my daughter got in to three different colleges, so the whole premise seemed unlikely to me, but then (thankfully) I don't live on the east coast! Abby is looking back at her life in the year 2022, when she is 100 years old. 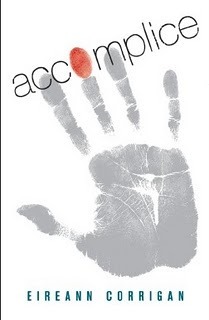 In anecdotal chapters, she recalls various scenes from her life that made an impact on her. Raised by a controlling father and a sad, frail mother, Abby and her sister Rose live in a small coastal town and get along as best they can. Strengths: Historical events such as the Great Depression and WWII effect Abby, and details of everyday life are nicely portrayed. Weaknesses: This was possibly the most depressing historical fiction book I've come across. Whatever bad things could happen, did happen. The poor mother. She suffers the father's abuse, has multiple miscarriages, finally has a baby boy who is "feeble-minded" and is sent to an institution and eventually dies. At least Abby manages to break free from her family, but the whole book made me too sad to think about handing it to a student. I was surprised at Martin-- Picky Reader adored the Doll Family books, which are a bit happier! Another review of this at Secrets and Sharing Soda. You Know It's Time For School To Be Over When: I tell a teacher "Poor planning on your part does not constitute an emergency on my part." When the students start to arrive at this time of year, I need to be hunting them down for overdues, not hooking up an LCD projector to a computer, expecially when two days ago I suggested to the same teacher that I could give her better service with a little more advance notice. She replied that it's not always possible to plan. Really? Because I got in to school at 4:30, and you're rolling in at 7:30, so that's not really the thing to say to make me want to help you. I'm normally not that cranky. Excitement! Gathering prizes for the MotherReader 48 Hour Book Challenge. Here’s a teaser of what MIGHT be awarded—still figuring out HOW to award them. The wonderful Carol Rasco of Reading is Fundamental has once again graciously offered our winners RIF's Celebrations collections to be donated to a school or non-profit of the recipients choice. Sugar is not a slave, but she might as well be. 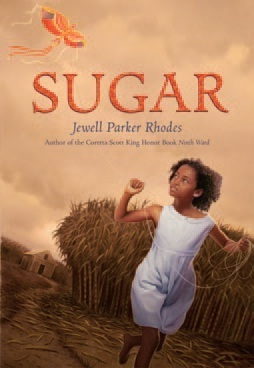 Her father was sold before slavery ended, her mother has died, and the former slaves who have remained at Mr. Willis' sugar plantation in the 1870's work very hard. They are also alarmed when Chinese workers are being brought in. While their work is hard, they don't know anything else, and are reluctant to go North away from everything they know. Sugar is fascinated by the Chinese workers and wants to get to know them, but finds it hard to keep out of trouble. The kindly Mr. and Mrs. Beale watch over her, but she insists on playing with the son of the owner, runs off on her own, and generally has trouble staying within the narrow parameters society has assigned to her. When the owner's son becomes very ill, Sugar refuses to leave his side, and realizes that perhaps heading North would give her more of the freedom she desires. Strengths: This is an interesting account of Reconstruction, and I didn't know that Chinese immigrants had been brought to the South during this period of history. The plight of African Americans is well covered, and good for students to read about-- just because they were no longer slaves didn't mean that their lives were instantly good. Easy to read, with an engaging main character. Weaknesses: While it is more interesting to read about spunky women or African Americans at times when they were oppressed, I wonder how many spunky sorts actually survived and prospered. I also wonder how many friendships there were between freed slaves and the children of owners. Krokos, Dan. 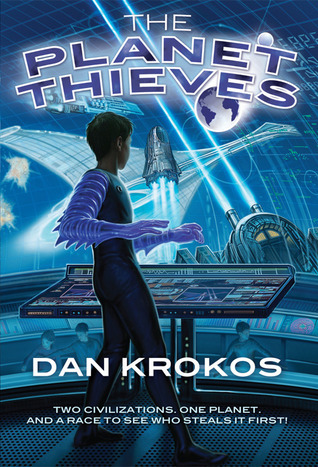 The Planet Thieves. Mason lives on the USS Egypt with his sister Susan as an ESC Cadet after the death of his parents. When Tremists (an alien race hostile to humans) attack the ship, the captain is killed, his sister is taken hostage, and Commander Lockwood is so gravely injured that he puts Mason in charge. Tom, the captain's son, is a bit put out, but knows that the cadets must take back the ship if there is any hope of defeating the Tremists. They have been fighting with the ESC over the habitable planet Nori-Blue. When they board the Egypt, their goal is to steal a large "gate" which collapses space and makes travel faster. Once they get the gate, they use it to transport Earth nearer to their planet! Mason realizes that his friend Merrin is actually a Tremist when the Tremist King insists that she's his daughter... and after he sees under the Tremist uniform and realizes that Merrin's violet colored hair and eyes do make her look just like them. A hostage exchange (Susan for Merrin) is arranged, to be conducted on the neutral planet of Nori-Blue. Once there, the cadets realize that Nori-Blue, thought to be uninhabited, is not. Secrets about the past of both the humans and Tremists are revealed. The ending is full of lots of twists, and I don't want to ruin the suspense! Strengths: This is classic, action-packed science fiction. Travel around in space, deal with hostile aliens, travel to new planets where there are even more dangers, figure out that the aliens are not that different from us. Have cool weapons, used judiciously, and add children in charge-- awesome! There is even a jet pack at one point. Still not understanding how it's 2013, phones can send pictures, and I STILL don't have a jet pack! Weaknesses: Hmmm... can't think of much. Of course it stretches credulity to have the cadets in charge of the ship, but when everyone else is captured or disabled, what can you do? If you want more recommendations on great books for boys, head on over to Boys Rule Boys Read! 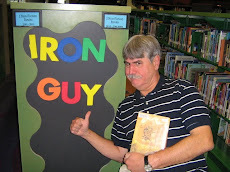 Iron Guy Carl is a fantastic public librarian, not to mention a big Rick Riordan fan, and does great work with getting books to boys. One of his former coworkers, Library Ninja Bill, has a blog as well, Boys Rock, Boys Read!!! If one or the other of them happens to have an interview with a certain middle grade librarian who doesn't have a cool blog name, I mention it only for shameless self promotion!